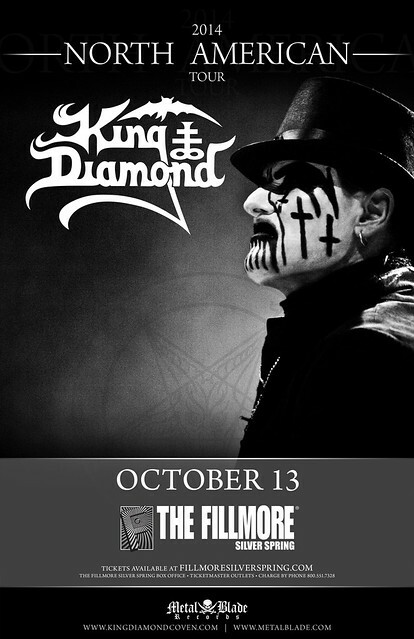 The Danish king of metal, King Diamond, finally returns to tour the US with his eponymous solo band and they’ll be playing the Fillmore Silver Spring this Monday, October 13th! 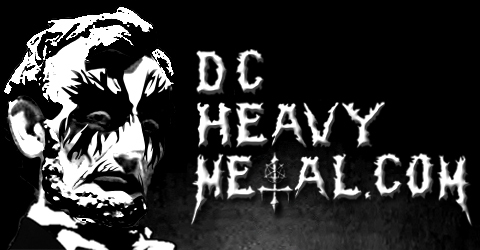 It’s not every day one of the European legends of metal comes to town so we’re giving away a pair of tickets to one of you lucky DCHM readers. 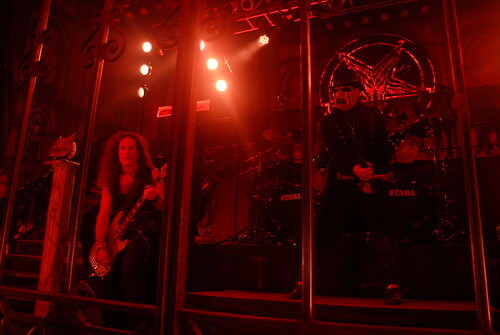 To enter leave a comment on this post telling me what your favorite King Diamond or Mercyful Fate song is (if you need help you can see their discographies at these links: KD and MF). At 5pm EST this Friday, October 10th, a winner will be chosen at random (using Random.org) from all valid entries to receive two tickets to the show! Be sure to use a valid email you check regularly so I can contact you if you win. Don’t worry, I won’t add you to any spam lists or sell your info or anything sleazy like that. If I haven’t heard back from the winner in 24 hours another winner will be chosen at random. Please don’t enter if you know you can’t attend, the contest ends just a few days before the show so I don’t have a lot of time to keep picking winners and waiting to hear back. If you can’t wait to see if you win, or the contest is already over when you read this, then you can get tickets right now for $43 from Live Nation here. 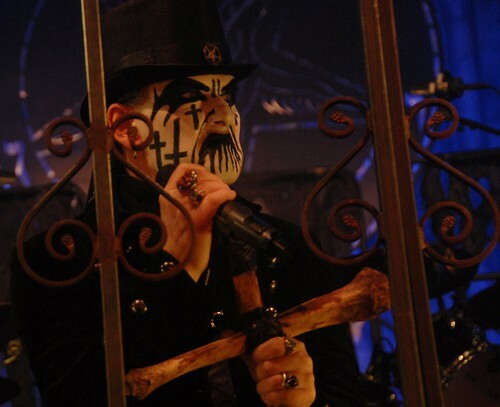 Aside from his incredible vocal range, King Diamond is also known for elaborate stage designs and theatrical live performances making this is a show you don’t want to miss! 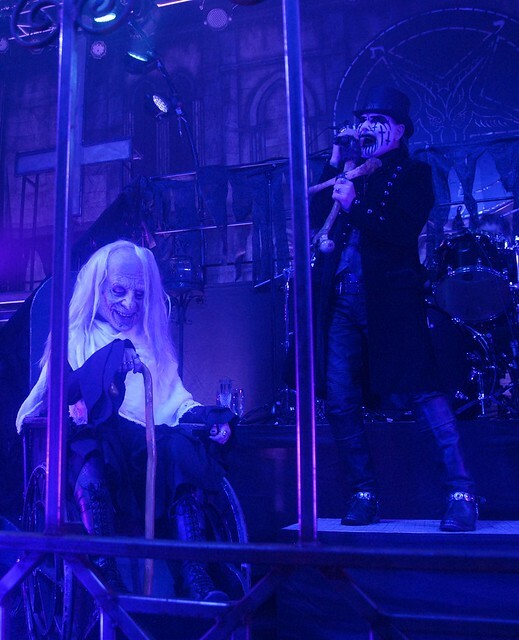 This will only be the second show of the tour so his voice should be in great form, and you can bet he’ll be playing a few classics from his previous band, Mercyful Fate, as well. And let’s not forget Andy LaRocque will be there shredding on lead guitar. The opener for this show is Jess And The Ancient Ones, a new band from Finland that sounds more like they’re from San Francisco in the 60’s. Perhaps this is what a gothy version of Jefferson Airplane would sound like. 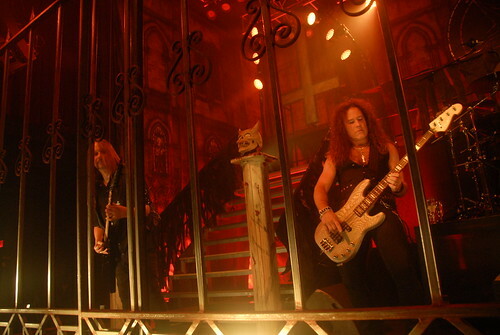 They’re not really “metal” per se, but they do have an evil vibe going on and they should be an interesting opener. 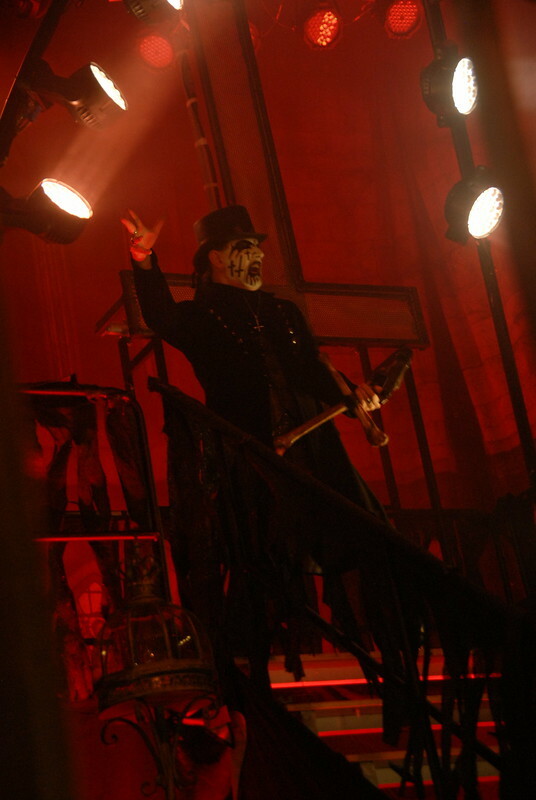 Now check out these awesome videos of the bands below while you tell me what you favorite King Diamond or Mercyful Fate song is in the comments!